World School Milk Day (WSMD) will be held this year on Wednesday, Sep. 27 as a way to promote the importance of milk as part of a healthy, balanced diet in schools all over the world! Check out the great photos from events around the Southeast last year. As a father to three children, I see the benefits every day of sending them to school where they can choose from a variety of flavored milk, and to daycare, where milk is served daily. Not only am I a father, but also a registered dietitian/nutritionist, so I understand the health benefits of dairy and the nutrition it provides. From calcium to potassium, magnesium, phosphorus, and vitamins A, B and D, milk delivers the nutrients and energy kids need to get through their school day, all while building a foundation for future growth and development that can last a lifetime. If you are like me, the energy you and your children need doesn’t stop when school gets out each day. After-school activities, such as dance, soccer, homework, piano lessons, and more require energy from a healthy and balanced diet, so encourage your children to fuel up with milk and the nourishment it provides. If your child prefers to take lunch from home, which sometimes happens in my family, they can always buy milk in the school cafeteria. You can also incorporate these kid-friendly dairy recipes in their lunch box. 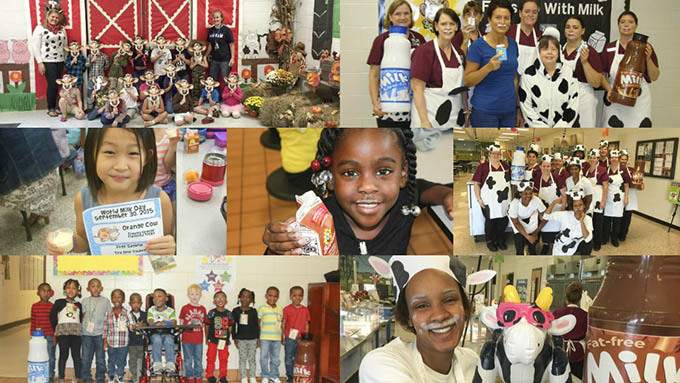 Share your World School Milk Day experiences and stories on Twitter using #WSMDSOUTHEAST and if you are a parent of school-aged children, share these resources with your child’s teacher, principal, and school nutrition staff. 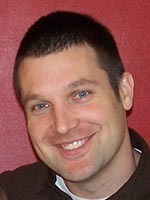 Paul Moore is a registered dietitian/nutritionist and father of three who believes in a family-centered approach to feeding children and learning how to develop a positive relationship with food. Connect with Paul on Twitter, Instagram, and Facebook, where food, family, and future is the focus.